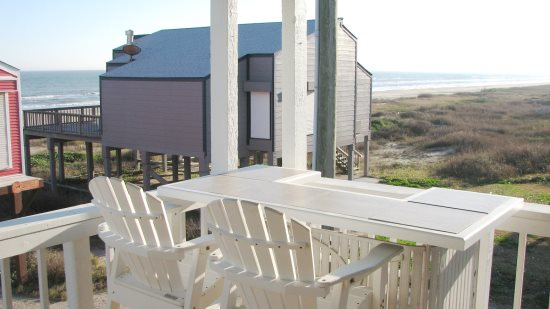 Recuperate, recharge, and have a wonderful time in Off the Grid. 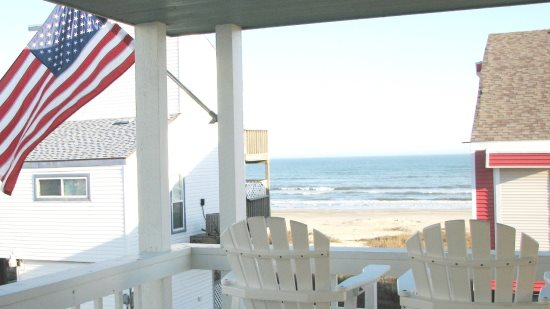 This beautiful beach-side cottage features upscale beach themed decor with a thoughtful charming touch. 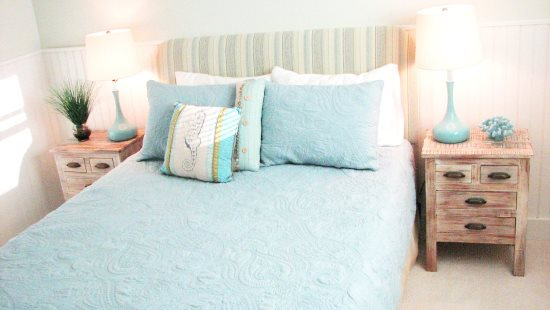 Guests are sure to feel comfortable, relaxed, and at home. 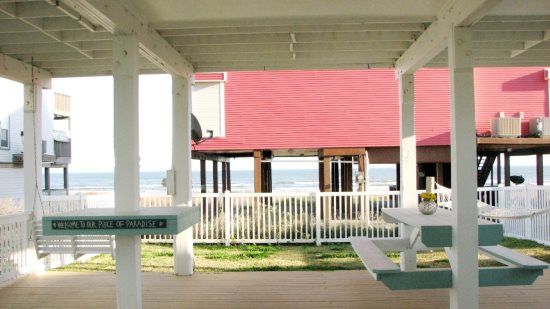 Sit back and enjoy a cocktail on the balcony, while admiring magnificent views of the gulf. Meal preparation is a breeze in the fully equipped kitchen, complete with stainless steel appliances and plenty of counter space. 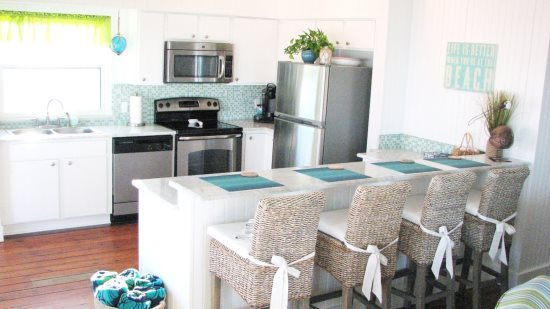 The convenient breakfast bar is perfect for a tasty meal or quick snack before heading off to enjoy a day at the beach. 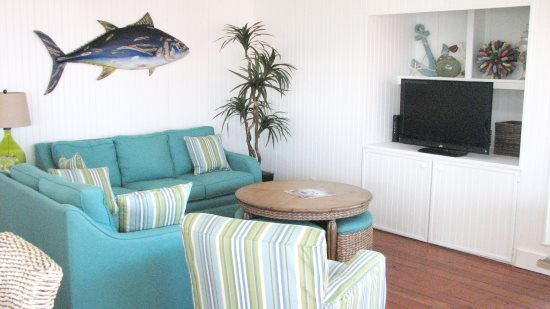 The living room has cozy furniture and a flat screen TV, great for unwinding after a day spent in the sand and sun. 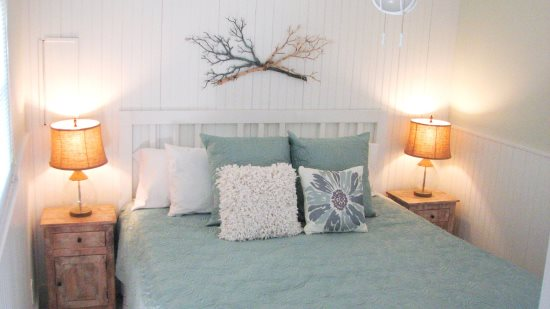 Guests are sure to sleep comfortably in one of the three tastefully decorated bedrooms. The master bedroom features a king size bed and the second bedroom has a queen. 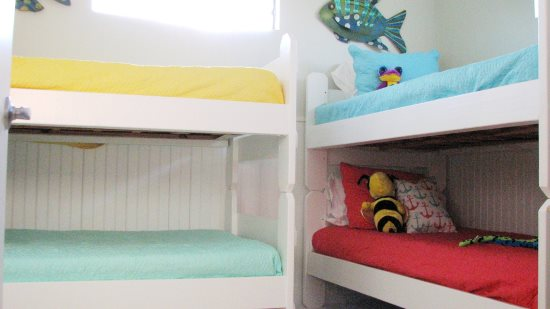 The third bedroom, with two bunk beds, is great for the kids. The lower patio with picnic table is an excellent spot for a relaxing lunch in the shade. 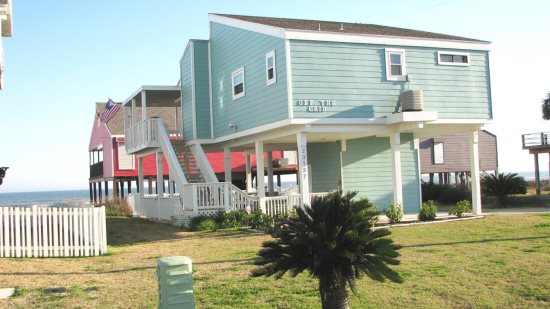 Savor the feel of the breeze on your face and listen to the sound of the waves in Off the Grid.